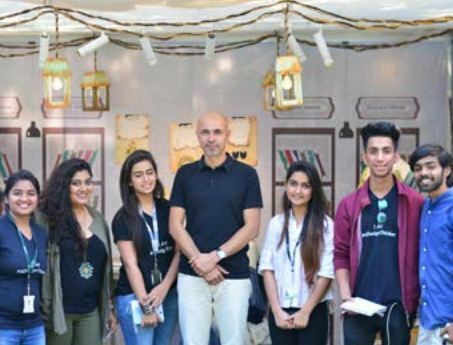 At Rajasthan Heritage Week 2018, students of Arch got an opportunity to speak to renowned designer Ajai Vir Singh, Founder and President, Colombo Fashion Week and Winner of Global Effie. 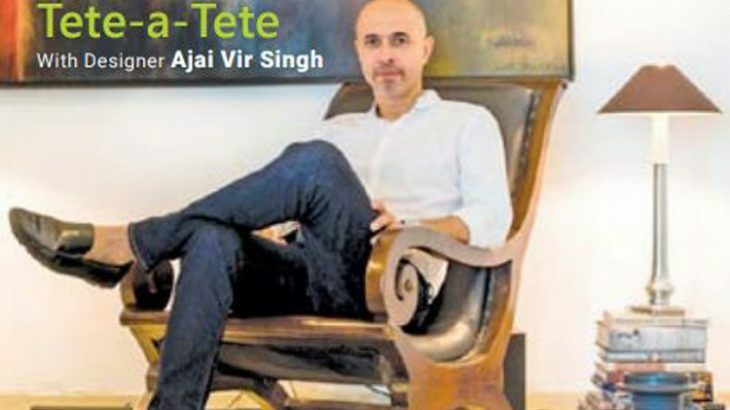 He is a visionary who has fathered the fashion movement in Sri Lanka. Being the Founder and President of Colombo Fashion Week, what would you say are the opportunities for young designers in Sri Lanka? Emerging Designer Showcase and have put efforts in impacting the curriculum as well. The curriculum at Universities is set, while when you are in fashion industry changes keep happening all the time. So how do you include that? So we do something called Days at the University once in 3 months, where we talk about new trends and changes which are happening in the industry. These the young/student designers can include in their collection even as we think and hope that they will get ready to be part of the Emerging Designer Showcase where they find a lot of opportunities, especially the sustainable aspect of it. Can you elaborate more on sustainable fashion? As designers, we have a huge amount of power to reduce waste. But everyone blames the people involved in manufacturing for all the issues-pollution, unfair wages etc., who are only following the instructions of the designers. So that is where your design thinking starts. As designers we only think about the ‘final nice piece’, and not the impact of the process involved in its making. What should be the focus of any design student during his/her course of study? Philippe Starck is the most revered and most popular designer in the world. He is from Paris. I was on a panel with him last week and I loved what he spoke about, as it is also connected to what I believe in. I wrote it last week in a story and it is very important that we hear him. He said that as a designer designs, the focus should be on the solution and not the problem. The designer should look at design itself as a solution and not a problem. According to you, what is the value and impact of traditional textiles in the global arena? Good storytelling in fashion is very important because that is what people buy. And traditional art and craft is good storytelling. We haven’t used it much in our stories and have only touched it from far. It can be mixed with modern designs very easily. It is all about design thinking. The way you think it, interpret it and put it. One mistake that the designer should not make during his/her journey? Making mistakes is good because that’s how you learn. But don’t repeat the mistake. Making a mistake is a good thing, repeating it is stupid. So, don’t repeat it, learn fast from it and then the journey begins. How important is inspiration for a designer? Inspiration is a good thing, but you need to really be inspired. Sometimes I find that in young students, they get inspired by what their friend gets inspired by or even the friend’s friend. If I put you in this garden alone, just looking around, can you create a collection? That is what the challenge should be. My inspiration can be sitting in a room and looking at a wall and still creating a collection. So, inspiration should be your own. Kindly give your feedback on Surkhiya – The Arch Shop, a collection by ARCH students. Any advice you would like to give them? The collection is interesting. So, when I look at these collections, they are very fresh in their thinking because they have come from a fresh mind. The challenge always is the next step you take from there. When you create a fresh collection, you put your emotional energy into it. A lot of students after doing collections like this become emotionally tired and fatigue sets in. So, one should be able to manage their creativity and emotions from the word go and maintain that. Your next collection should be one step above in terms of creativity. In your entire journey, what is it that kept you going, despite various ups and downs in your professional life? “God is good, and it will always work”. In 2008 we were doing a fashion show at the Taj in Colombo and the lights went out. There was an LTTE air attack in the middle of the show and a bomb exploded, probably in the next building. So, we have gone through all that and if you can take a fashion week through that journey you can take it through any. It is just the conviction in you that will take you forward. Also, you need to look inside you and be a design thinker and keep working on solutions and you will be unphased throughout your professional life. Design Communication Design Conversation. permalink.